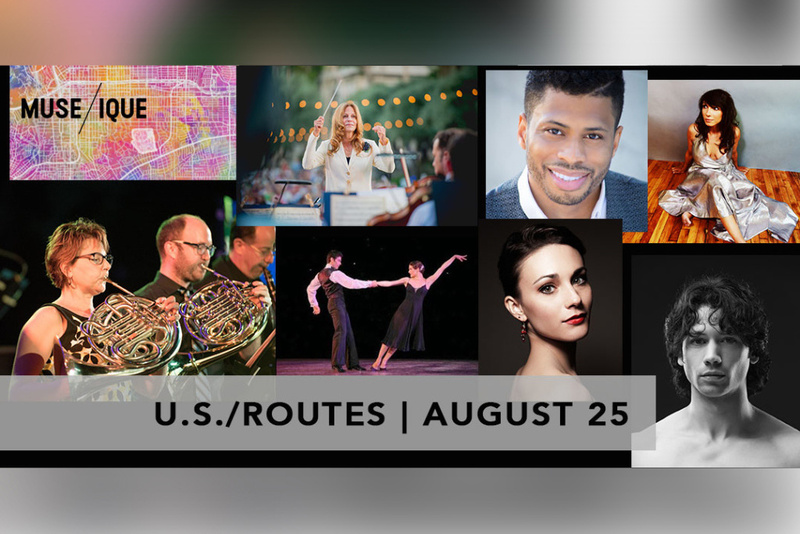 MUSE/IQUE takes you on the ultimate musical road trip with some legendary traveling partners. Louis Armstrong, James Brown, and Jackie Wilson show us the soul of America - from the South to Detroit and beyond - as channeled through the impossible charisma of singer Chester “CHΞSS” Gregory. And Frank Sinatra’s Vegas swings to life through the miracle of American Ballet Theater and Twyla Tharp’s life-changing choreography. -The soul of America from the South to Detroit and beyond is channeled through the impossible charisma of singer Chester “CHΞSS” Gregory performing works made famous by Pearl Bailey, James Brown, Sam Cooke, Lloyd Price, Jackie Wilson, and Gary, Indiana’s own Michael Jackson. -And Frank Sinatra’s Vegas swings to life through the miracle of Twyla Tharp’s life-changing choreography, interpreted by Herman Cornejo and Sarah Lane from the American Ballet Theatre. In this journey full of music and memory, we'll discover the secrets that make each corner of our country special. MUSE/IQUE is a dynamic, nonprofit organization that creates exhilarating live music adventures. Using the whole city as a venue, MUSE/IQUE goes way beyond the concert hall with spectacularly intimate performances which combine music, movement and ideas from a diverse range of genres. Under the leadership of renowned Artistic Director Rachael Worby, MUSE/IQUE reimagines the possibilities for live music experiences.